Professor Dr. Rebecca Johnson received the Professional Achievement Award from her alma mater, University of Dubuque. According the University, the Professional Achievement Award is presented to a graduate after 15 years of graduation for significant contribution of achievement in his/her chosen professional field. To be considered for this award, the nominee must have demonstrated a clear commitment to excellence in her career and have achieved visible public recognition, achievement and leadership, which reflect positively on the University’s vision. Dr. Johnson is the Millsap Professor of Gerontological Nursing and Public Policy and the Sinclair School of Nursing. She is also a professor in the MU College of Veterinary Medicine. 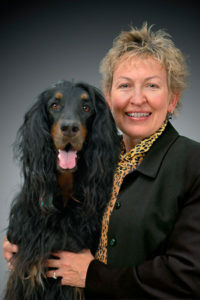 In 2005, Dr. Johnson founded and became the director of the Research Center for Human Animal Interaction at the College of Veterinary Medicine.